In an earlier article, I have shared the complete guide to setting up Facebook Instant Articles for your WordPress blog. 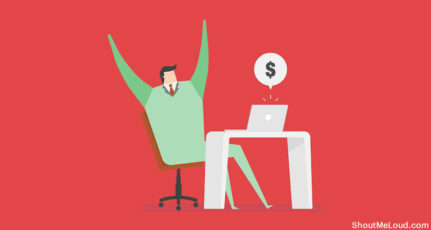 In this article, you will learn about making money from Instant Articles. This is an important step for everyone who has enabled Instant Articles & wants to make money from their blog. By default, Instant Articles doesn’t show any ads & you will not be earning any money. 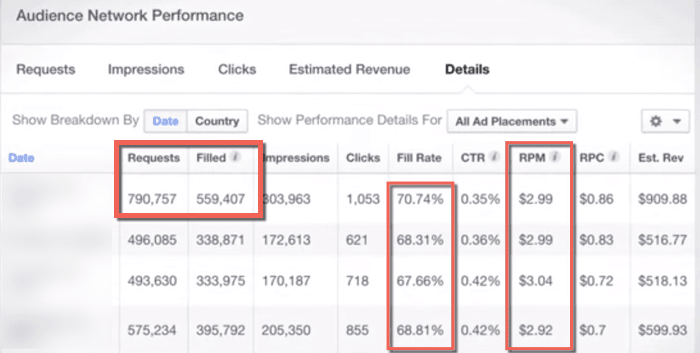 The fill rate & CPM is pretty high in comparison to other ad networks. 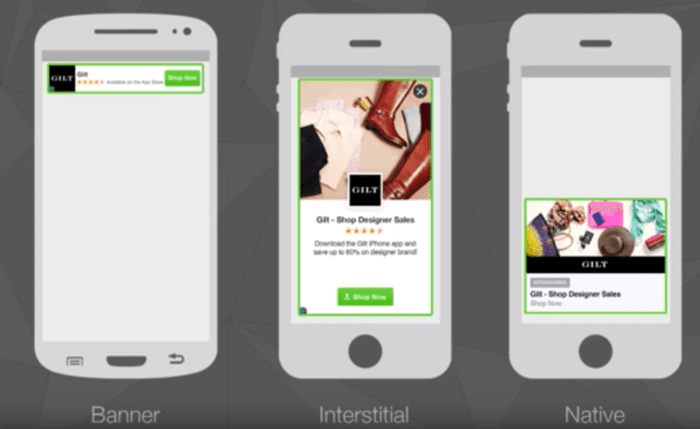 The ads shown on your Instant Articles pages will be targeted based on user demographics & interest. 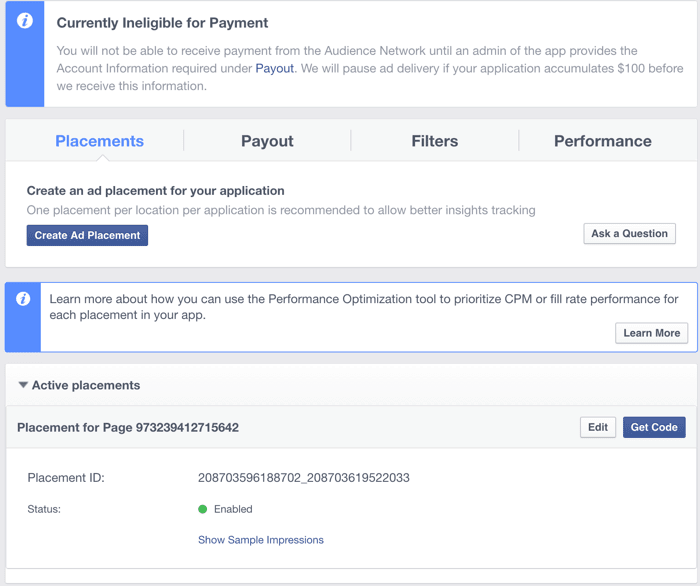 Audience Network provides publishers and developers with engaging, high performing ad units backed by Facebook’s 3 million advertisers. 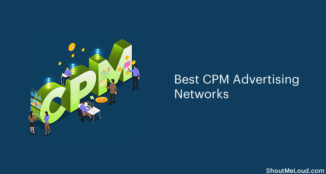 Audience Network extends the reach of Facebook campaigns beyond Facebook, and provides publishers a way to monetize their content with relevant, better-targeted ads and innovative native ad formats. 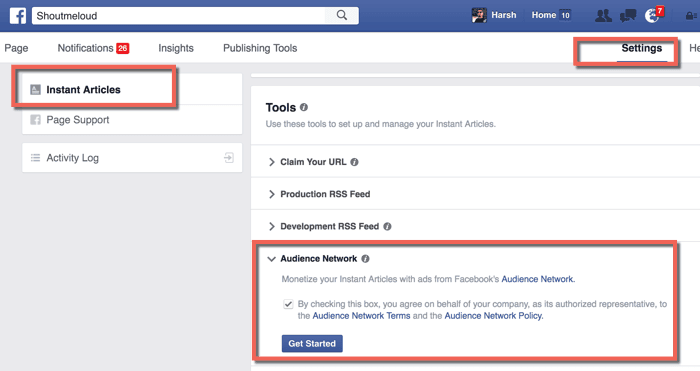 Go to your Facebook page Instant Articles settings & under tools, look for Audience Network. 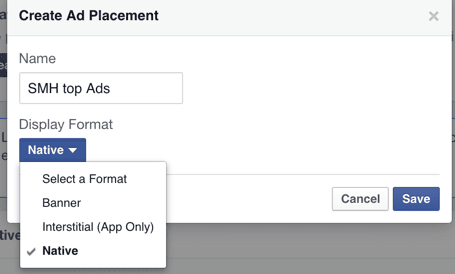 Click on “Create Ad Placement” & give it a meaningful name. It’s important to provide a meaningful name as it will help us to track reporting by unique ad locations in Instant Articles. In-stream video ad options will be added in the coming days. Since we are using the official Facebook Instant Articles plugin, we just need the Placement ID to get started. Login to your WordPress dashboard & go into the Instant Articles settings. Look for the “Ads” section. Click on “Save” & that’s it! With the above steps, we have configured ads on Instant Articles. Now, it’s time to fill out the payment information so that we can get paid. 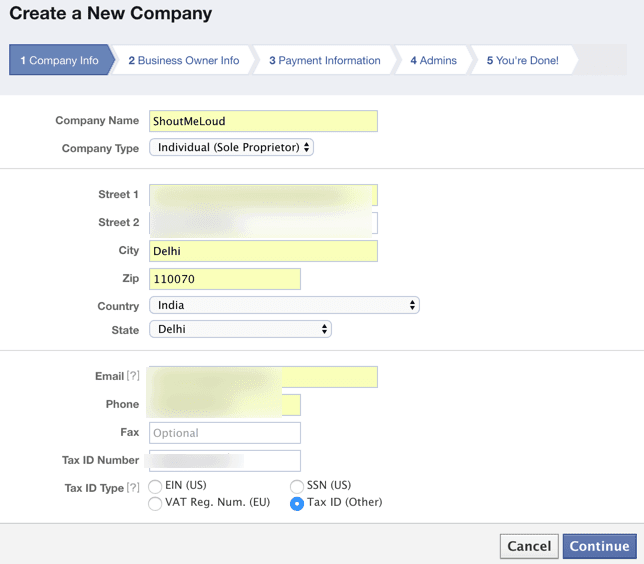 Click on “Create a New Company” & start filling out the form. You can use either one of them. I prefer using direct bank deposit because with PayPal, I will lose out on a considerable amount of money due to currency conversions. I’m not sure what this “additional verification” is for. If you select PayPal & complete the additional verification, let us know the steps in the comment section below. Complete the remaining two steps & this will finish the process of creating a company. The next step is to add Tax forms. Anyways, right click on the form you are entitled to & save it onto your desktop. 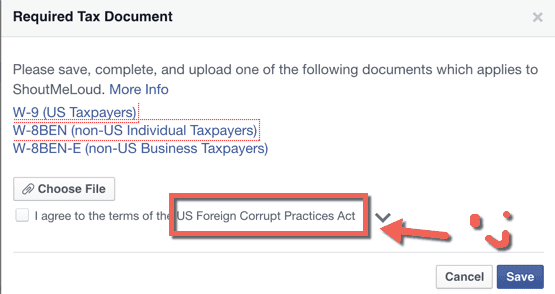 Tip: Bloggers outside the U.S. who have not formed a company or are working as a part-time blogger should select W-8BEN (non-US Individual Taxpayers). Open the downloaded .pdf file & fill out the form. This should not take more than 2 minutes. Once you have filled out the form, upload this “Required Tax Document” & click on “Save”. Note: After clicking save, you might need to select the company’s name from a drop down menu & click on “Save Changes” to associate updated tax forms with the company. Note: You can always change your information if required. 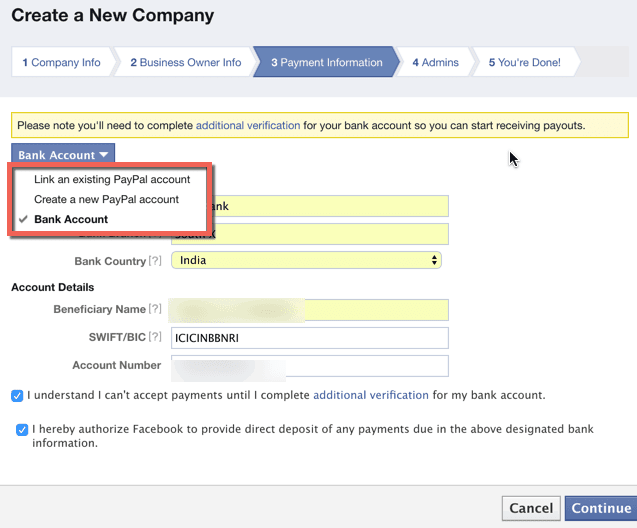 But do know that Facebook will hold your payout for 10 days if you update your payment information. Your earnings will be paid out after the holding period. You do have the option to disable ads from certain categories or disable specific app or domain ads. In the coming days, I will cover this in detail. You can download our free Android app or SML iOS App to get notified when I do that. Now, let me quickly explain the Performance tab. It will take time (depending on the traffic) to see the performance tab. I’m taking an example from the below screen to explain the various metrics mentioned in the Performance Dashboard. 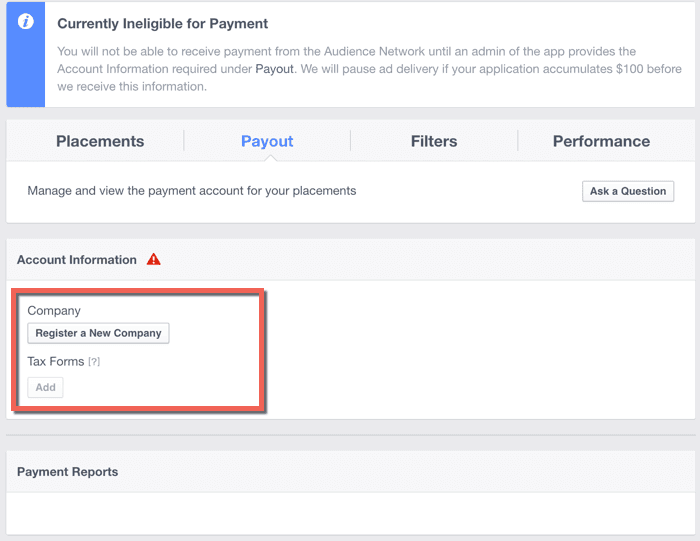 Requests: After placing the Audience Network ad code, every time your Instant Articles request an ad from Facebook, this is called Requests. In the above screenshot row 1: Ads have been requested from Facebook 790,757 times. Filled: Each time Facebook fulfilled the request is called Filled. Example from row 1 in the above screenshot: Facebook fulfilled 559,407 requests out of 790,757 requests. 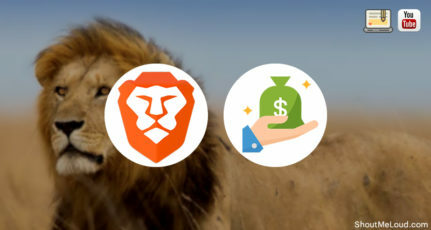 Impressions: Each time a user sees an ad is called an Impression. Example from row 1 in the above screenshot: 303,963 Impressions. Fill Rate: The ratio of filled over requests. Example from row 1: 70.74% Fill Rate. If Facebook can map your user/reader with a Facebook user. In the case of Instant Articles, the mapping percentage would be very high. The advertiser demands for a particular user. Payment will be sent out on the 21st of each month for the previous month’s balance. With this, you should be able to start monetizing Instant Articles on Facebook. If you have further questions or have any doubts, feel free to ask me in the comment section below. 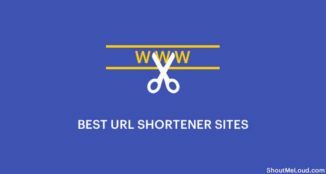 If you found this guide useful, do share it on Facebook with your blogger friends. Good Day! I would just like to ask what if free plan WordPress account (the one without any charges per month) should be upgraded or moved to wordpress.org in order to join instant articles..and second, do I need to pay for bluehost in order to download plugins for my wordpress? I am really excited about this new FB Blog..and I can really use some help right now, because I haven’t really started yet.. Thanks! 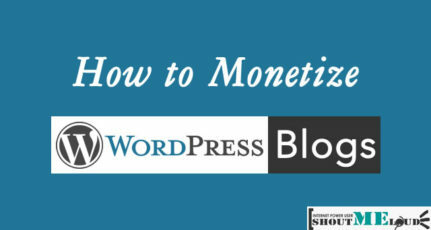 If my blog is currently monetized with google adsense, can i apply facebook instant article to my blog? We are using the same article, right? will it create any issues? yes, you can use Facebook instant articles for your blog along with Adsense.